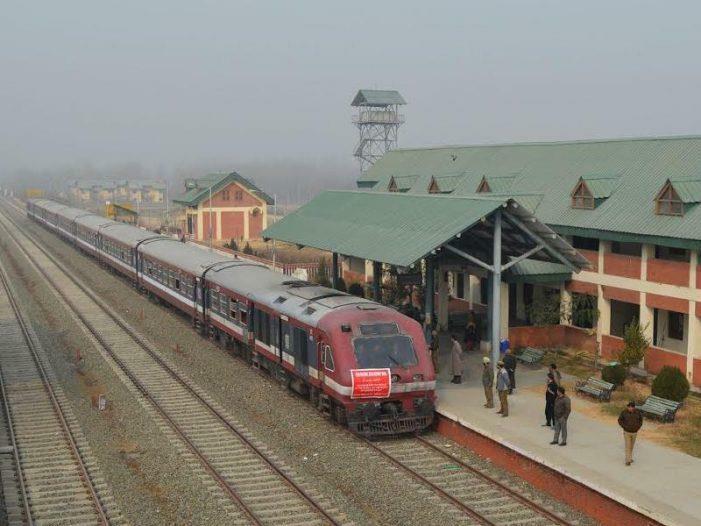 Srinagar, Feb 11: Train services remained suspended on Monday for security reasons in the Kashmir valley, where separatists have called for a general strike on the death anniversary of JKLF founder Mohammad Maqbool Bhat, who was hanged and later buried in Delhi’s Tihar jail on this day in 1984. "We have received a fresh advisory from police not to resume train service in the valley on Monday as a precautionary measure," he said. Train service has become very popular as it is being considered cheap, fast and safe compare to other modes of transport. However, due to strike not only railways, people travelling in trains also suffered losses as they had to pay several times more to reach their destinations.